Come join our Customer Loyalty Program! 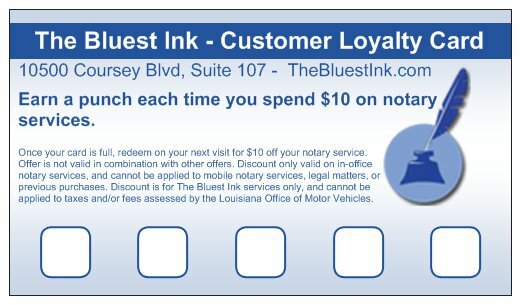 For each $50 spent on notary services, receive $10 off your next service! We accept cash and credit/debit cards for all payments. For DMV FEES ONLY, an extra 3% surcharge is assessed when using a credit/debit card to pay DMV fees.